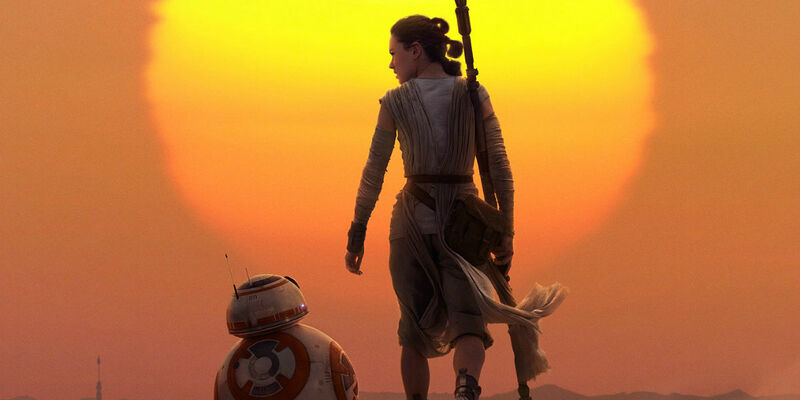 Rey and BB-8 are trying to find their way, too, in 2016. While I’ve reviewed what’s happened in 2015 in my recent posts, it’s time for me to look ahead, and see what I need to plan for this year. I admit that last year, I had big plans. I knew that I wanted to sample some new conferences so that I could have some new experiences and meet new people. I also knew that I wanted to try to launch my own consulting company. Additionally, I knew I needed to learn something new to enhance my skills. I achieved all these goals on some level, so that’s good. However, it’s more difficult this year. If last year was a transitional year, this seems to be more of a transitional year than before. Last year, I had some direction on what I wanted–and needed–to do. This year, I really don’t know where to go, and that’s problematic. While I earned a mini-MBA in digital marketing last year, I don’t feel strong enough to take on a content marketing job. I could certainly try, but most of the job listings need someone with a stronger marketing background than a digital background. While I understand marketing concepts, my experience fails me on that front. I’m open to taking more coursework in something to enhance my job seeking opportunities, but…in what? Two avenues that I’ve considered is learning more about Agile/Scrum, and the other is looking at getting a certificate in localization practices. I think both would be beneficial, and are things that I’m interested in, but I don’t know how much they would actually help me in the job market where I’m at. 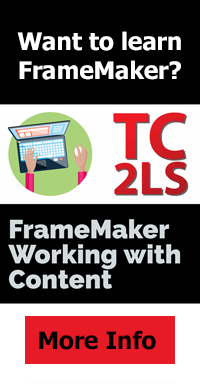 I’ve thought about getting some coursework in project management–which is what originally brought me into the IT world almost 20 years ago. Project Management has morphed quite a bit since that time. I’ve also thought about learning more about either WordPress or AEM development, which I think would be good, but I’m not sure where to find the right education for that, or know if I’m up to it, since I’m not really a developer. I’m not sure if any of these are the right direction, either. I launched my company, but I’ve hardly gotten it off the ground. Part of the problem is that I know I need to focus on what I’m best at, and figure out what I can offer that other consultants can’t. I’m not sure what that is quite yet. I think I have a lot to offer, but honing into what makes me special, unique, and valuable to a client is much harder to define, especially when you are trying to figure it out about yourself. I also need to figure out how to find clients–that’s important, too! If I can get that off the ground more, I’d love that. I’m open to any part-time or full-time projects–even being the sub-contractor for someone else. I’m very open to remote possibilities. I don’t know where the opportunities lie. I know they are out there, but I don’t know how to tap into it. I’d like to continue trying out new conferences, and perhaps go back to some that I’ve already attended in the past. I’m already set to attend the STC Summit this year, as I’ll be a workshop speaker. I’ll also be attending the STC-PMC Conduit conference–for the first time strictly as an attendee, and not a speaker! But other conferences? A lot of it has to do with time and money. Money is something I don’t have a lot of, and time–well, I don’t know what my time is going to look like a few months from now, let alone later this year. Perhaps I’ll go to the IEEE ProComm which will be in Austin, Texas in the Fall. I’m not sure yet. I thought about going to the Big Design conference in Quito, Ecuador (I heard it’s going to be great, and an opportunity for me to visit cousins-in-law at the same time), but it’s very close to the STC Summit, so I don’t know if I can swing two conferences so close to each other time-wise or financially. I think the biggest issue, as you can sense here, is that I feel direction-less. It’s almost a dilemma between having too many choices and not enough choices. It’s one of those times that I wish I was a kid again, and someone could see through the clouds better than I could, and help point me in the right direction. But alas, I don’t have such a luxury. I have to figure this out for myself. You can see that I have ideas, and I’m open to suggestions, but there are too many unknown factors this year that prevent me from committing to anything right now. I don’t know what direction my career is going in right now. Last year was the year that I thought I would turn things around and start in a new direction, and it would be a clear path. I think I had some good ideas last year–and they were, and I could try to continue with them, but I’m not sure how to do that. So where do I go from this point? As I said, I’m certainly open to suggestions or leads. I have a concept in my head of where I want to go, what I want to do, but I don’t know how to get there. There are no Google Maps to take me there. If you have felt like you didn’t have any direction in your career before proceeding towards next steps, what did you to break out of that rut? Include your comments below, as I’d really like to hear about some ideas that might benefit me, but could also help others who are facing the same dilemma as I am. This is not to say I’m not optimistic about this year. I will say that over the past several years, I’m glad that I’ve built a great support network professionally around me who can certainly lift me when I’m down, and I’m grateful for that. Also, who’s to say that I have to set out any goals right now? When I decided to lose weight and get healthy, I didn’t make the plan in January, but rather in May or June of that year. Who’s to say that I won’t have this figured out a little better in a few months? 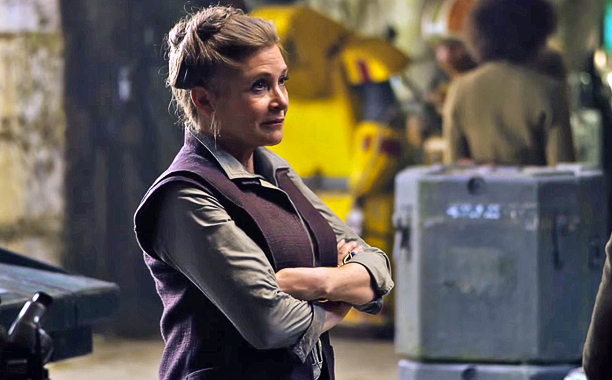 Time will tell, but for now, I’m hoping the Force will provide me with some direction…. This entry was posted in Uncategorized and tagged 2016 STC Summit, 2016 STC-PMC Conduit, Adobe AEM, AEM, Agile, BB-8, Big Design, career opportunities, career trajectory, conferences, Consulting, content strategy, digital literacy, digital marketing, Distance Learning, DIY education, edupunk, entrepreneurship, General Leia, Google Maps, IEEE, IEEE ProComm, independent consultant, independent consulting, Learning, Leia, localisation, localization, mini-MBA certificate, Princess Leia, Project management, Quito, Rey, Scrum, Star Wars, STC, STC Summit, STC-PMC Conduit, tech comm, tech comm entrepreneur, TechCommGeekMom, Technical communication, technical communications, technical writing, The Force Awakens, WordPress. Bookmark the permalink. 2 Responses to What will 2016 offer? Good question. I don’t know–yet. I can sympathize with you, Danielle. It’s hard to know how to “package” yourself professionally. Perhaps one of these ideas will resonate. Give yourself a min-retreat, even if it’s just an afternoon on a park bench. Think about what gave you the most satisfaction, and where you felt like you contributed the most, in the jobs you’ve had. That might offer some direction. Use your network. Specifically, think of someone you trust who could be a sounding board. Meet them for coffee — once, twice, or regularly. Just talking about your professional goals often helps crystallize them in your mind, and the feedback from that trusted colleague should help too. Good luck. I look forward to reading about your successes in 2016. Thanks, Larry. Believe me, I’ve done lots of soul searching already, and this is why it’s hard. There are many choices, yet no choices–it’s that sort of a thing. Finding a position that is similar to others that I enjoyed is proving to be difficult, and that’s a big part of the challenge. I know what I like to do, and what I don’t, as well as what I’m good at, and what I’m not as good at (or have no skills at all). I think a big part of what I posted this is that my blog is my outreach–so many of the people I respect in this field are the people I connect with online, so this is part of how I’m networking already. Like I said, I’m open to suggestions, and having much of this posted out in the open is my way of not only helping myself, but hopefully helping someone else who might be in the same rut as I am.